No obligations, no contracts, lifetime access, 100% risk free. Can you imagine passing your exams like Lisa? Or like Gabri Ela who passed first time by listening to audios at any possible time? and finally Diana... Imagine walking into a resit exam confident of a pass and it happens!!! If You Checked ANY Of The Boxes Above, Then I Want To Invite You To Join The 'L2 Anatomy & Physiology Revision Mastery Series' And Guarantee An Exam Pass! 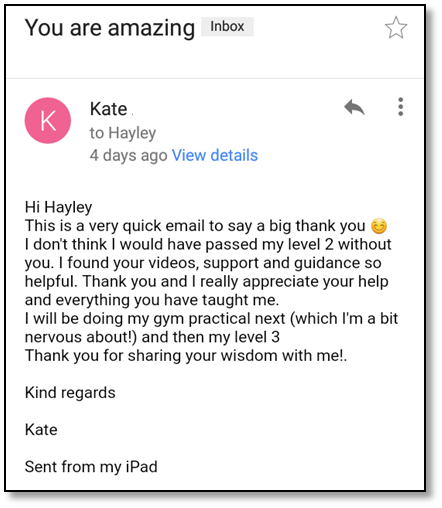 Perfect... many of the learners currently on the L2 A&P revision mastery series are completing their full qualification with another provider however want more HELP, guidance and support. 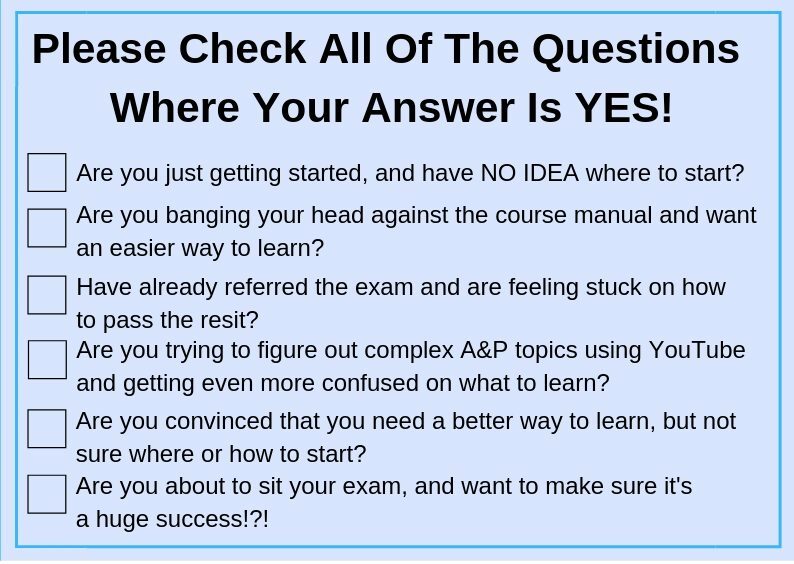 Our Level 2 A&P Revision Mastery Series IS NOT another course with more exams... it simply guides you to pass the level 2 course you're already doing! The Revision Mastery Gives You EVERYTHING You Need To Learn, Revise, and Pass Your Level 2 A&P Exam! Now you can imagine having all the knowledge Kathryn did? Passing with 100% like Magda. and finally NOW you can Imagine turning your confidence around in just a couple of days to walking out of your exam confident of a pass. If all this revision mastery did was supercharge your confidence and knowledge what would that be worth come exam day? Instead of relying solely on your course manual which takes ages to read (where do you even start?) 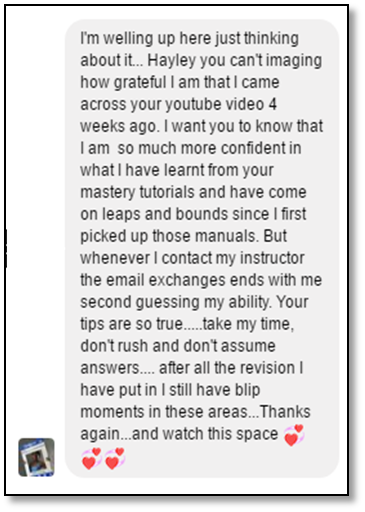 ... the L2 A&P Revision Mastery Series has your learning style covered with full HD video tutorials, audios and cheat sheets. There's no more re-reading the same paragraph, struggling with long anatomy words or nodding off... Meaning you slice your revision time in half and remember all the content ready for exam day. 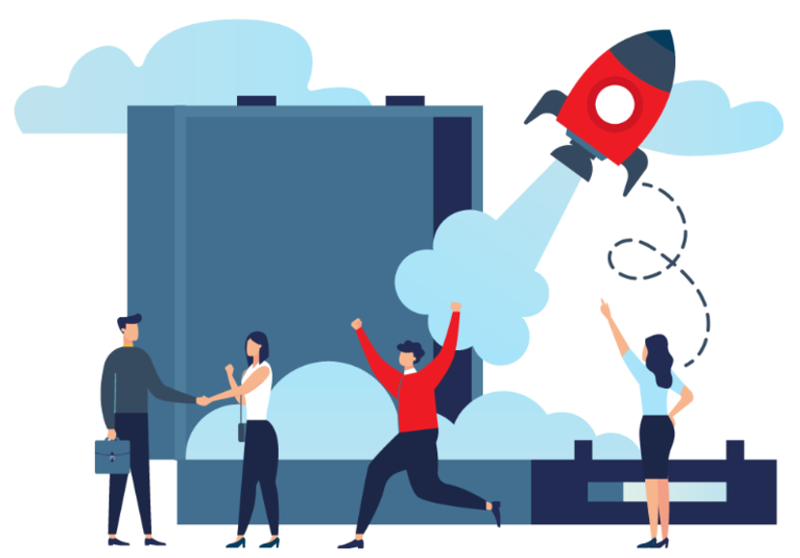 The level 2 A&P revision mastery series breaks down multiple tough topics into easy memorable chunks of information using simple metaphors and analogies. Therefore, ANYONE can learn (even if it's been a while since you last studied). 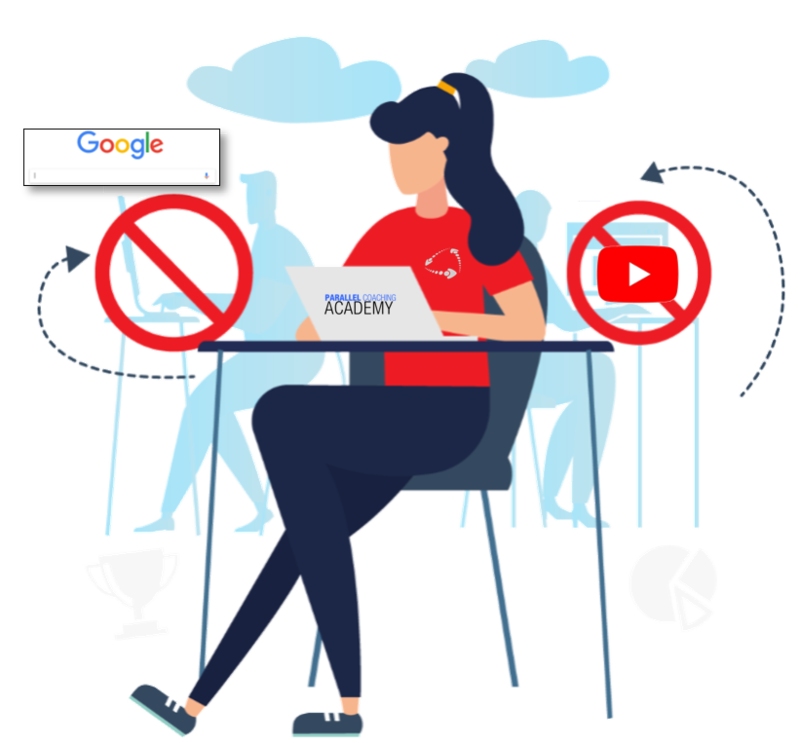 Instead of carrying your manual everywhere or relying on one place to learn... the level 2 A&P revision mastery series allows you to learn and revise at ANY TIME, no matter where you are, or what you are doing. Simply download to MP3 & MP4 to access even without Wi-Fi. It will feel like you're in the classroom having a 121 lesson! Instead of delaying or walking out of your exam feeling gloomy... the level 2 A&P revision mastery series guarantees you to feel confident come exam day. There's NO MORE guessing, feeling anxious or "putting off" your exam. 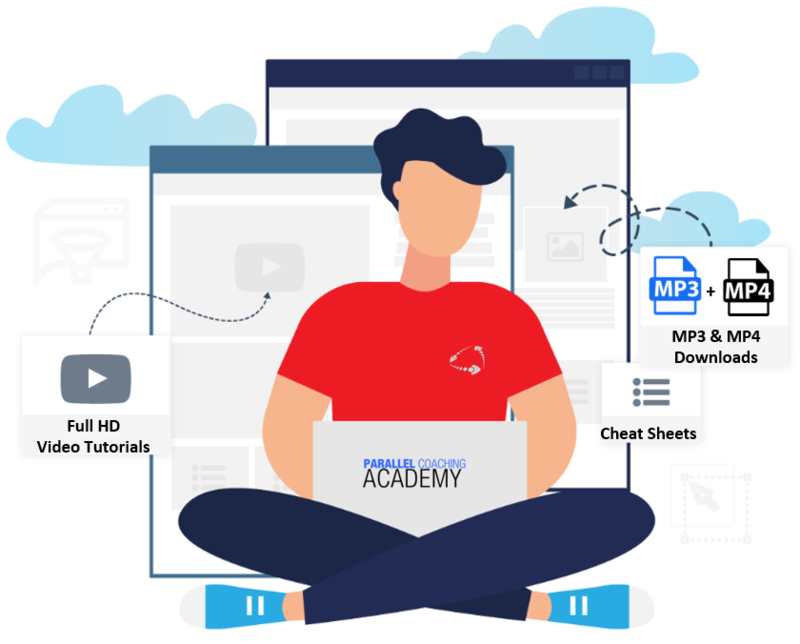 Once you've watched or listened to all 8x video tutorials, completed the cheat sheets and the BONUS material you WILL be so confident you could take your exam any day and PASS with top score! 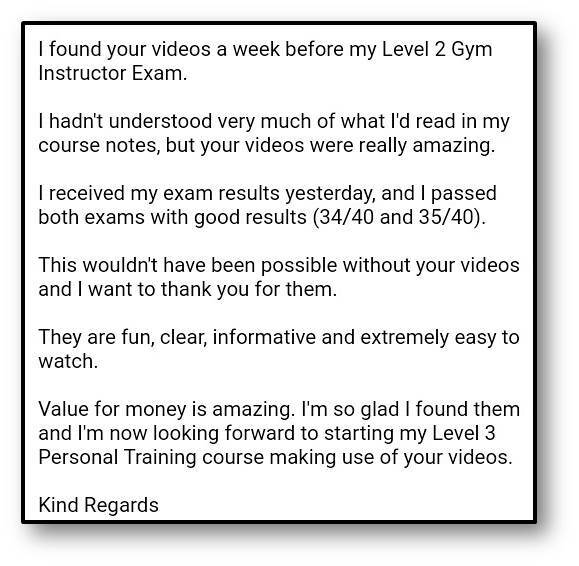 Or maybe you're learning with another training provider, have already referred your exam and feel gloomy... the level 2 A&P revision mastery series will give you everything you need to pass on your upcoming resit exam. In fact, 98% of our revision mastery learning pass first time or on the next re-sit! 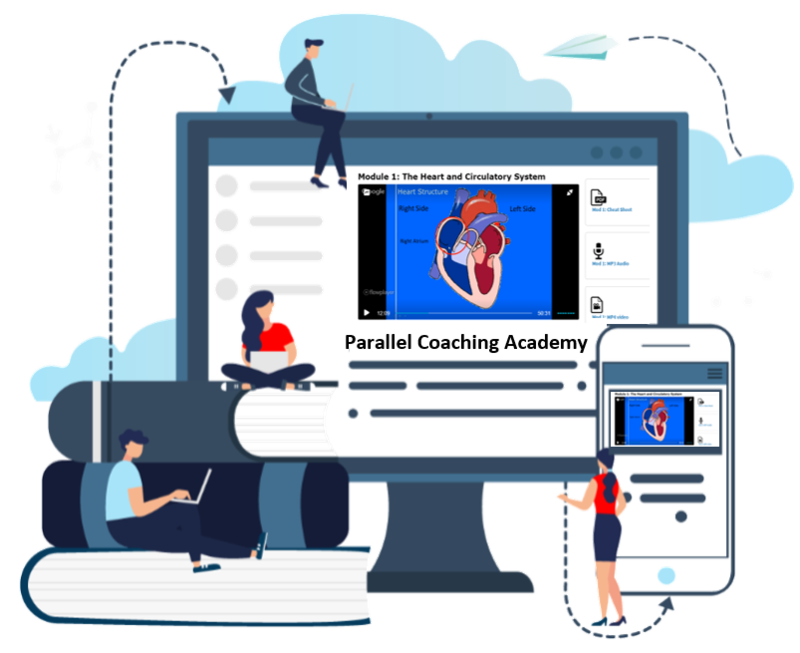 You have lifetime access to the Level 2 Anatomy & Physiology Revision Mastery: All 8x level 2 A&P HD Video Modules, Cheat Sheets, Instant Learning Hacks, Success Guide, MP3 and MP4 downloads, and Unlimited Student Support. You get Instant & Lifetime Access plus there are NO repeat payments or monthly fees. 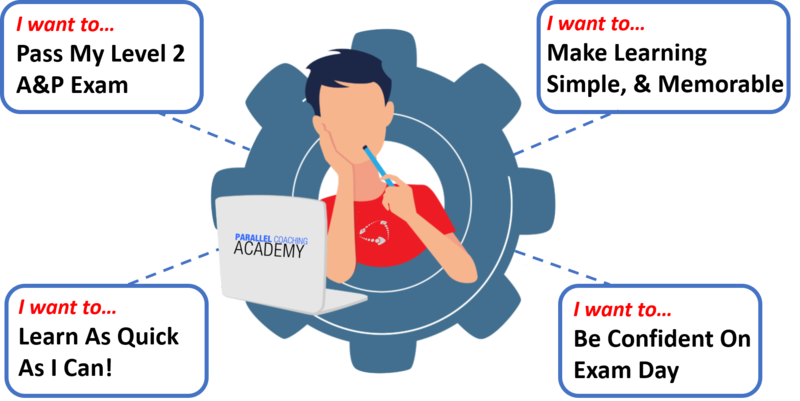 Upon payment, you'll get your academy login details sent via email. All You Pay Is £39.99! 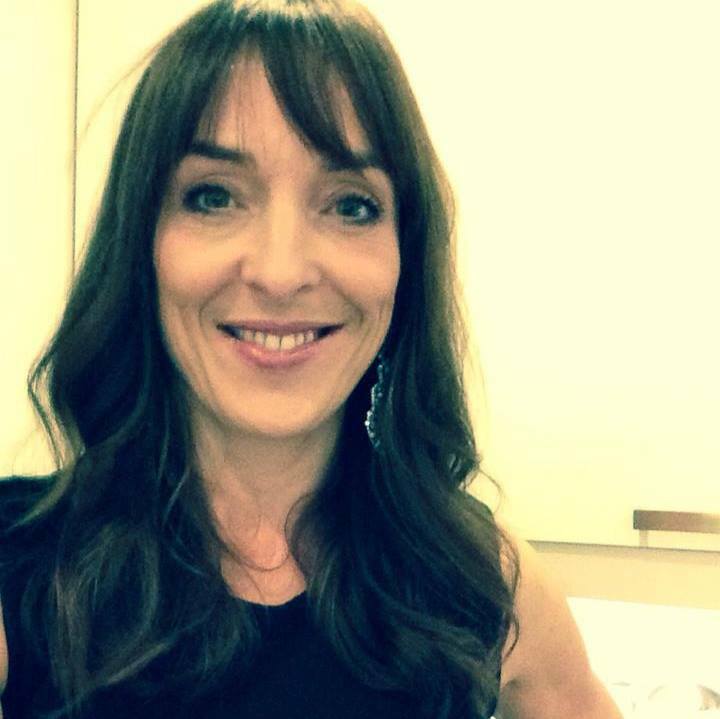 Let Me Break Down All The Awesome Stuff You'll Get When You Enrol In The Revision Mastery Series Today! 8x full HD Video Modules organised in one place! 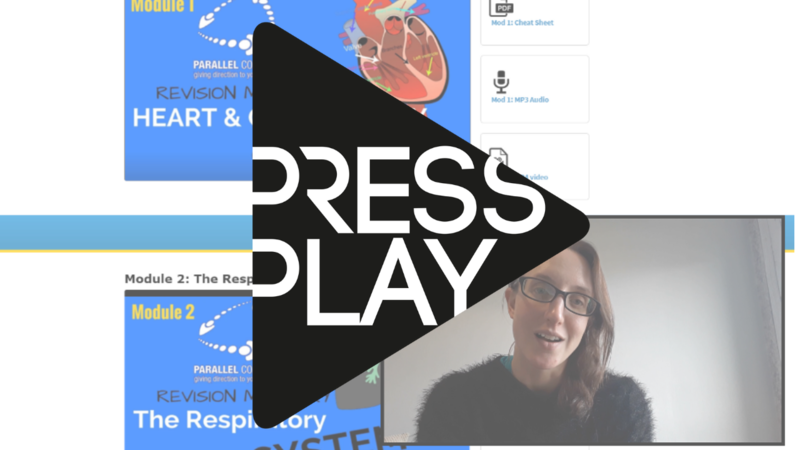 Cheat Sheets To Every Video Module - Make revision easier and test your knowledge as you go! It is designed to leave you competent and confident for your Level 2 Anatomy and Physiology exam, with your current training provider. If you are currently studying for any level 2 Anatomy & Physiology exam, maybe it’s for a fitness course qualification, within health, well being or as part of your GCSE or A-Level studies… These 8 modules will guide your revision to a confident pass!